There are several trends in healthcare that your healthcare practice should consider. Healthcare has always responded to innovation and change. Leaders in healthcare are always looking for ways to improve the overall health of the patient and their organizations. They go hand in hand. When a healthcare practice is healthy and financially successful; the providers can and will spend more time and effort on ensuring the health and well-being of their patients using innovative strategies. More approved home health care devices – these devices, including blue tooth technology to transmit patient data will need security and monitoring. But the value of daily record keeping of patient data, reminders to take meds and transmission of data back to provider will prove invaluable to both the provider and the patient. Extended scope of practice – using extenders, i.e. nurse practitioners and other allied providers will become the norm. This will also bring with it new laws outlining and expanding the scope of physician authority and how payments will be made to whom. Less privacy for more convenience – as patients demand more convenience and transparency of medical records to other providers, the loss of privacy is inevitable. Will patients accept less privacy for more convenience and better outcomes? Of course they will. Innovation in caring for acutely ill patients – Patients that cost the system more will need innovative and strategic plans of care. As more and more baby boomers become eligible for MCR and MCD, and outcomes are less than optimal; providers and hospitals and ACO’s must adjust care to the reality of the cost of care. 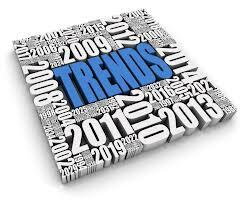 This is just a partial list of trends that will characterize 2015 and beyond. But one thing is clear, technology will drive many of these trends and will continue to be in the for front of healthcare innovation and change. Receive the latest blog post delivered fresh to your inbox!